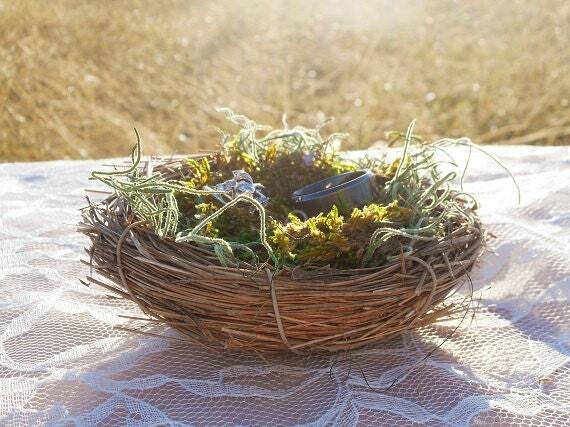 ♥ Natural wood bird nest. 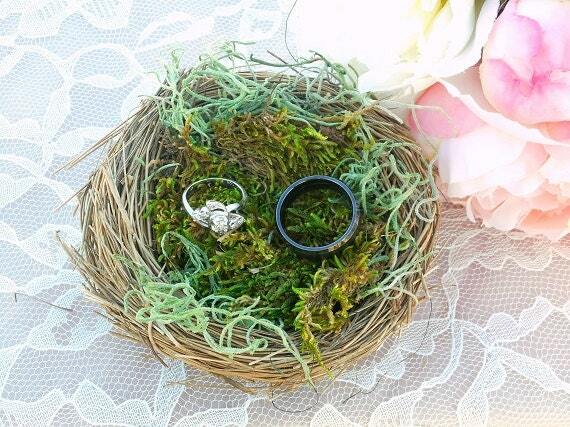 ♥ Fresh green moss and Spanish moss filling. 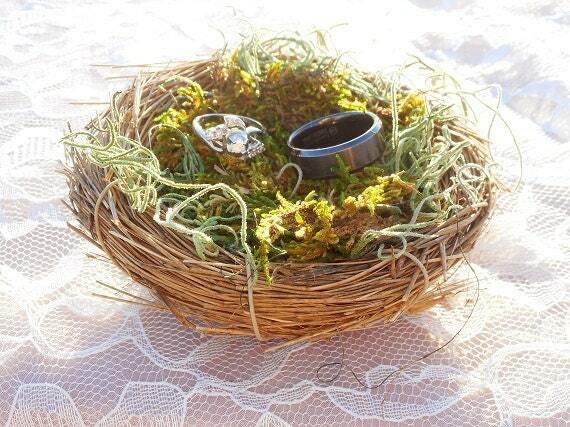 Thrilled with this purchase and can’t wait for our ring bearer to carry it on our wedding day. 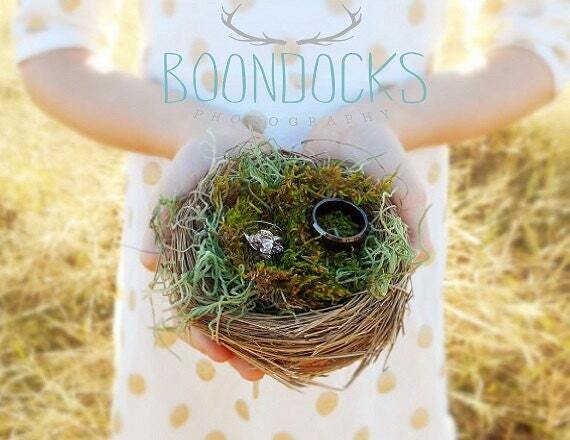 Absolutely adorable and perfect for a woodsy wedding! Thank you! Received my order & it's the cutest thing I've seen for a wedding! 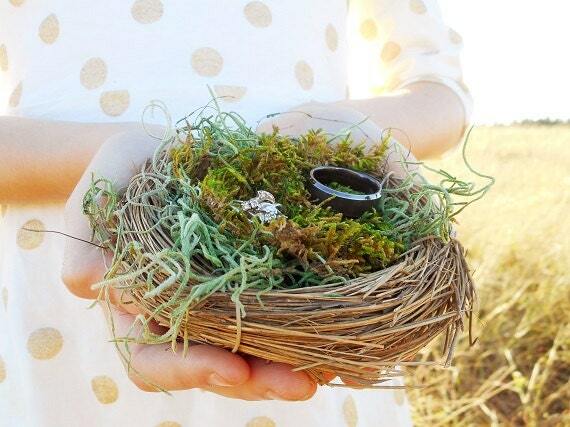 Such a unique idea, can't wait to use it on our wedding day! Thank you so much for making this for me & for the wonderful service. God Blesd! adorable and extremely quick shipping!